Laurence Griffiths/Getty ImagesIvan Rakitic and Lionel Messi were vital to Barcelona’s winning effort on Wednesday. Barcelona defeated Tottenham in Champions League play on Wednesday 4-2. The win came with the help of two beautiful goals from Barcelona, including one from the foot of captain Lionel Messi. With the win, Barcelona kept its spot atop Group B in Champions League play. Barcelona won a hard-fought contest against Tottenham in Champions League play on Wednesday with the help of two of the prettiest goals we’ve seen so far in the competition. After jumping to a 1-0 lead, Barcelona’s second goal of the day came from the foot of attacking midfielder Ivan Rakitic. The Barcelona attack looked like it had fallen apart in the Tottenham box, Phillipe Coutinho saved possession with a wild, spinning volley just before the ball crossed out of bounds. Coutinho’s strike bounced into perfect position for another volley from Rakitic, who buried the opportunity off the post to double his team’s lead. The golazos wouldn’t stop there. 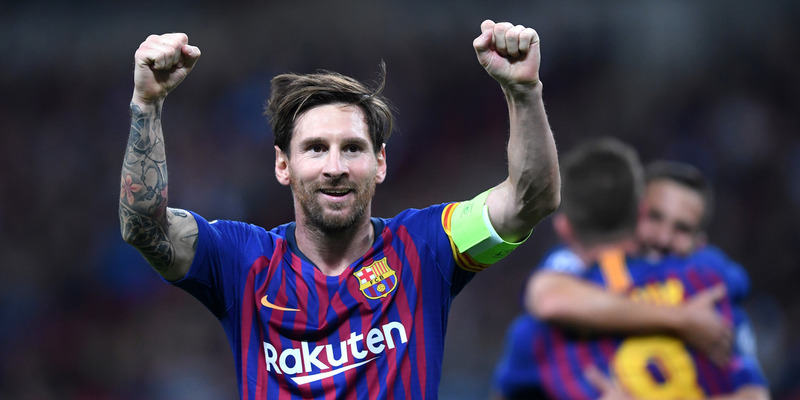 In the second half with Tottenham mounting a comeback, captain Lionel Messi took over to once again extend Barcelona’s lead. After playing the ball wide, Messi delayed his run into the box until just the right moment. Two teammates faked an attack on the ball, drawing in defenders and leaving Messi wide open to collect the centering pass and score. Messi would go on to score late in the match to help Barcelona to a 4-2 victory to remain atop Group B of the Champions League. Barcelona will continue Champions League play on October 23 with a match against Inter Milan.